It is definitely hard to pick one book out of all the books I want to read and stick with it... I am doing a bit better this month, but I really need to work on not getting caught up in all the pretty books. I can't read my entire TBR all at the same time. I guess it is good that I am excited about the books that I have to read, but it just makes me overwhelmed and then I don't finish anything. This past week has all been shorter stuff with it being Graphic Novel February. 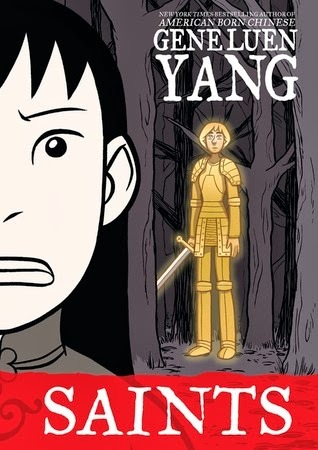 I plan to sit down with some graphic novels later today. I am thinking maybe my next project will be The Unwritten. I just have to decide if I want to go back and reread or start with the unread ones. An example of not being able to concentrate is that I haven't read anything for this yet. 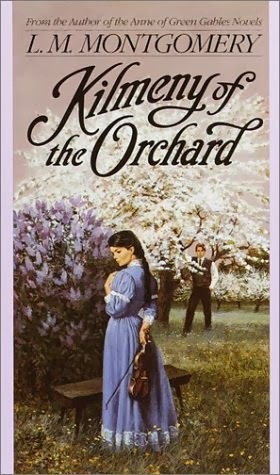 Kilmeny of the Orchard is really short, so maybe that is what I should read today... My current audio is taking longer than I planned so I haven't got to Anne of Avonlea yet. I think I did pretty good this week! 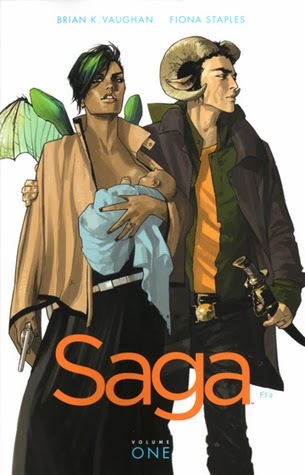 I reread Saga: Volume 1, finally read Saga: Volume 2, reread Boxers by Gene Luen Yang, and read Saints by him. You can read my post about them here. 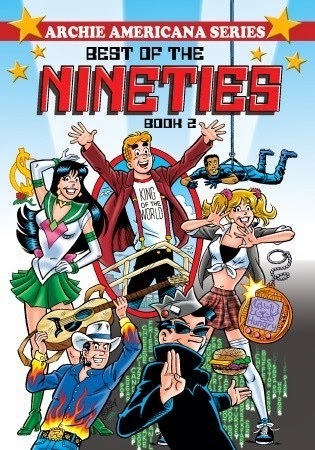 I also read the first Archie comic I have read in years. It will go on my graphic novel post next week. 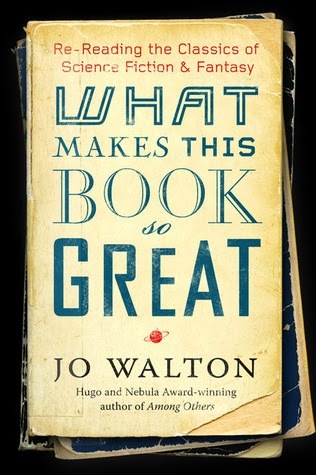 One project I have been sort of working at is reading books that Jo Walton recommended in What Makes This Book so Great. It's been fun hunting some of them down at the second hand store. Technically I finished my first one today, but because these posts only go up to Saturday it doesn't count for this week. Every year I tell myself to read more science-fiction and I don't. Hopefully this will finally work for me. 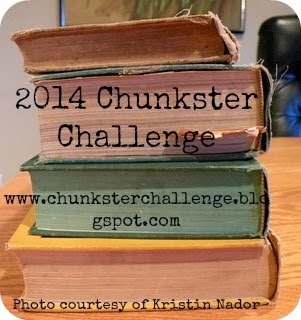 I counted What Makes This Book so Great by Jo Walton for the Chunkster challenge. It is 448 pages and I consider that close enough. 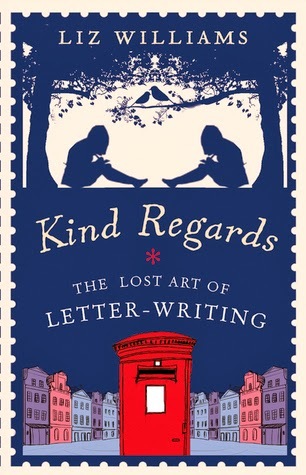 Then I read Kind Regards: The Lost Art of Letter-Writing by Liz Williams for the Postal Reading Challenge. 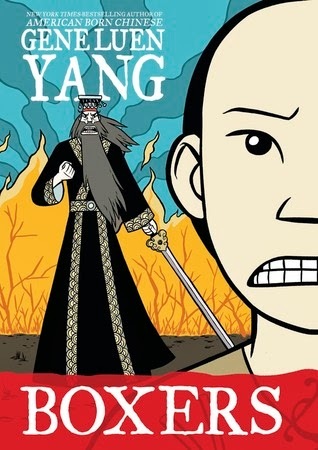 I counted Boxers and Saints by Gene Luen Yang for the Historical Fiction Reading Challenge. I am listening to The Splendour Falls by Susanna Kearsley still. 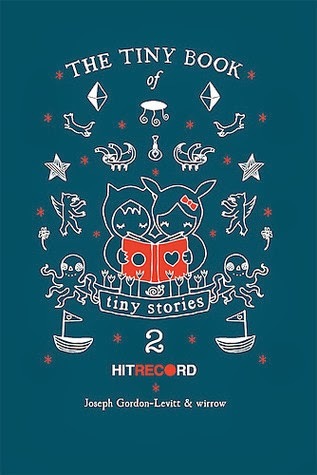 I am liking it, but I didn't listen as much as I had been other weeks this year. Hopefully I can finish it before this week is out. I am not sure what will be up next. I have a few things I need to get to... I guess it will depend on when I finish. Just a quick little look at letter writing and its history. I liked it, but it was nothing amazing. I haven't read an Archie comic in years, so I thought I would throw one in for nostalgia. 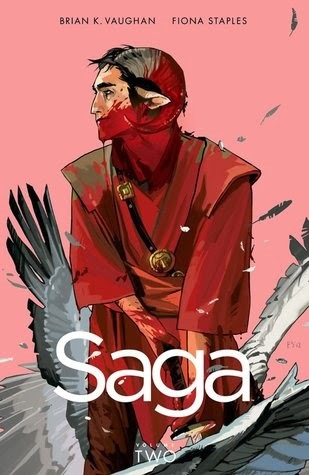 I know so many people that love this series and I finally got to read one! They are really great, but I looked up the prices and I just can't justify that to myself... I am still glad I read this one, though! "I can't read my entire TBR all at the same time." Yeah that describes my life too right about now. Inspired by you, I've checked out most of the Fables series from my library for a reread. It was unplanned but they were all on the shelves. :-) I hope you're able to find one book to stick too. I can't wait to hear some of your thoughts on these vintage science fiction books that you have been buying. Sounds like it will be adding to my TBR :) I'm off to check out your graphic novels reviews so I can do the exact same thing. LOL! Kilmeny is kind of weird, but I hope it works for you....(Blue Castle and Rilla are my two LM Montgomery favs). Can you believe I haven't read anything but the Anne series by LMM, in spite of that being one of my favorite series of all time? I really need to fix that. I'm still sipping (rather than gulping) What Makes This Book So Great--and discovering all the books that I've never read in the science fiction genre. Like you, I'm planning on reading at least some of them. Also reading another book in small doses: Signed, Sealed, and Delivered (from NetGalley) about the love of letters. It is nonfiction about the author's love and appreciation for letters, old and new, and parts are very interesting. However, the e-book format is awful on this one, making the reading a bit frustrating. Still, it makes another book to read a chapter and leave it for a while to digest. A good reading week :) I've got a bit of that wanting to read all TBR books, too, it's so easy to end up not reading anything at all instead of being strict with yourself and working through them. 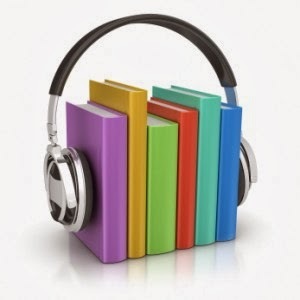 Hope you enjoy your new books! Look at you go! It may be taking you time to finish the books, but you are definitely getting a lot of reading done. I can't wait for you to receive and start The Martian!! !